… and we are not doing enough with regard to true religious discourse. The problem has never been with our faith. Perhaps the problem lies with ideology, and this ideology is sanctified among us. … I am talking to the religious scholars and clerics. We must take a long, hard look at the current situation. … It is inconceivable that the ideology that we sanctify should make our entire nation a source of concern, danger, killing, and destruction all over the world. It is inconceivable that this ideology, I am referring not to “religion” but to “ideology” — the body of ideas and texts that we have sanctified in the course of centuries, to the point that challenging them has become very difficult. It has reached the point that (this ideology) has become hostile to the entire world. Is it conceivable that 1.6 billion (Muslims) would kill the world’s population of 7 billion, so that they could live (on their own)? This is inconceivable. I say these things here, at Al-Azhar, before religious clerics and scholars. … You cannot see things clearly when you are locked (in this ideology). You must emerge from it and look from outside in order to get closer to a truly enlightened ideology. You must oppose it with resolve. Let me say again: We need to revolutionize our religion. 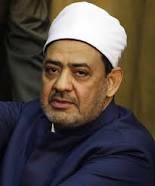 Honorable Imam: (the Grand Sheik of Al-Azhar)2: you bear responsibility before Allah. The world in its entirety awaits your words because the Islamic nation is being torn apart, destroyed, and is heading to perditon. We ourselves are bringing it to perdition. Revelation 13:7-8 (NASB) It was also given to him to make war with the saints and to overcome them, and authority over every tribe and people and tongue and nation was given to him. All who dwell on the earth will worship him, everyone whose name has not been written from the foundation of the world in the book of life of the Lamb who has been slain. Daniel 7:23 (NASB) “Thus he said: ‘The fourth beast will be a fourth kingdom on the earth, which will be different from all the other kingdoms and will devour the whole earth and tread it down and crush it. 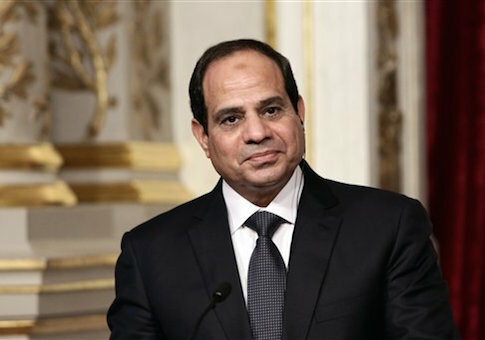 President al-Sisi represents non-Islamist Muslims all over the world, Muslims who value peace, the right of all to chose their own religion, and to do so without prejudice or the threat of personal injury. He is a breath of fresh air in Islam. PreviousIran and Russia – As Oil Prices Fall do the End-Times Rise Near? The Holy Spirit of communion is moving, blowing his breath of unity among the peoples despite the brokenness of our hearts. All sane and rational people around the world should actively support Al Sisi’s call with all their heart and soul. We are praying and hoping that more and more Islamic leaders (all leaders for that matter) will have the scales of deception fall from their eyes and begin to see the true Path to Peace and that, eventually, the true disciples of the Prince of Peace will prevail. Thank you for this post. Our God never fails to amaze us!